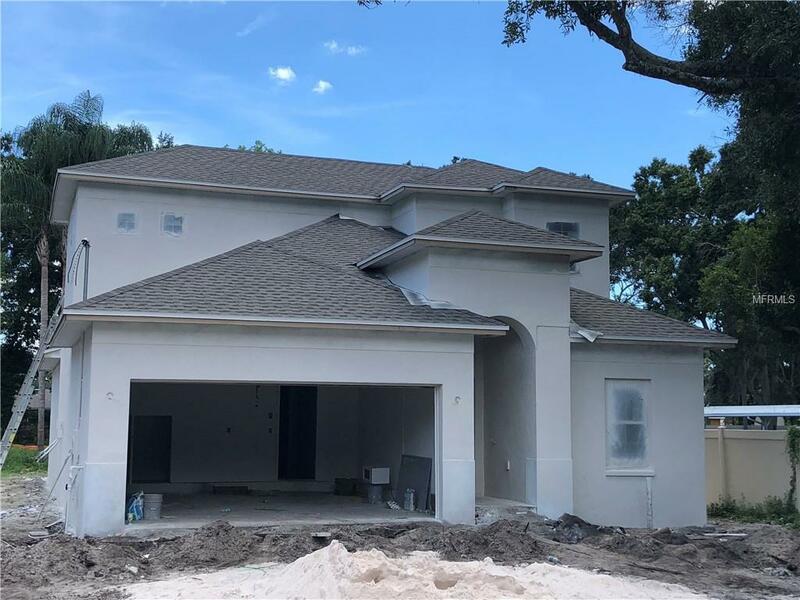 Under Construction: BRAND NEW Domain Home on oversized 175 deep homesite! Welcome to West Tampa, walk to Raymond James Stadium and enjoy a sporting event or your favorite concert. Fine-dining restaurants, International Plaza and St. Joes Hospital all in short distance. This two-story, multifunctional Westshore plan fits all facets of life. This first-floor, master suite home includes luxuries such as maple cabinets, granite countertops and elevated 94 ceilings on the first floor. The kitchen, fit for any chef, has an island on the angle to stay connected with friends and family in the dinette and family room. The master suite, tucked in back of the home for privacy features a double tray ceiling, walk-in closet and master bath inclusive of an oversized shower. Enjoy entertaining on the first floor and the second floor with the bonus room, additional bedroom and full bath all on the second floor. Enjoy the enormous backyard or relax under the included optional covered lanai. Feel confident in your new energy-efficient Domain Home with our outstanding warranty program. Photos depicted are of similar plans and features to show the level of detail and finishes.